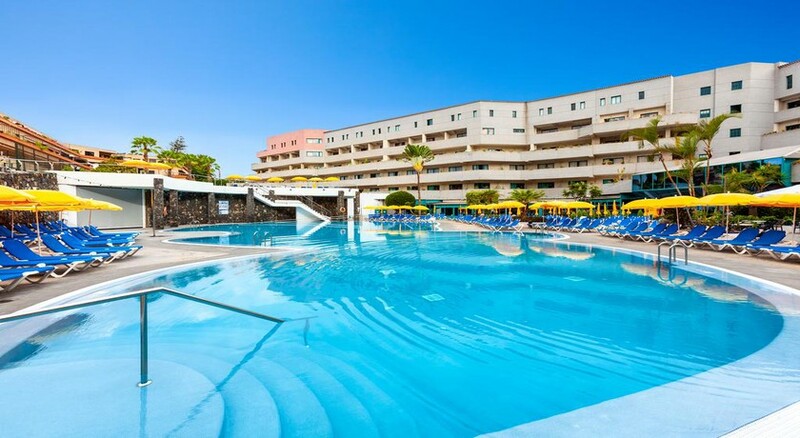 Located 100 metres away from the pretty Playa Jardin beach in the north of Tenerife, the Gran Turquesa Playa Hotel an all Inclusive hotel, which offers 350 attractive guest rooms to singles and couples, with connecting rooms available for families and groups. You have an interesting choice of restaurants, sparkling pools (for adults and kids), spa and gym facilities, sports activities, and nightly entertainment. 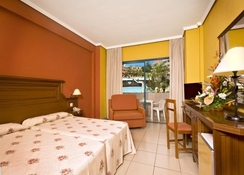 The unbeatable location of the hotel makes it an ideal spot to spend your holidays in Tenerife. 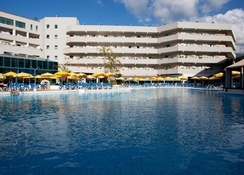 For a calm and quiet holiday experience, book into the Gran Turquesa Playa Hotel and enjoy the Canary Islands. The hotel is only 300 metres from a bus stop, and within walking distance of the beach (100 metres) and a short distance to the resort entertainment. 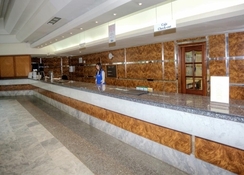 In the immediate vicinity there are numerous shops, bars and restaurants to enjoy. Puerto de la Cruz is 28 km from Tenerife North Airport and 96 km from Tenerife South Airport. The hotel offers a buffet restaurant, Punta Brava, a thematic restaurant that serves Canarian cuisine. And after dinner, settle into Atlantida Bar, with good music, and pick a drink for yourself from the list of interesting cocktails on the roll. 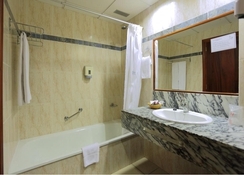 For relaxation, the hotel features 2 outdoor swimming pools, sun terraces with loungers, parasols and towels, heated indoor pool (local charge), outdoor Jacuzzi, gymnasium, sauna, and massage treatments (charge). But if you’re in for some sports, you have squash, mini golf, games room and video games, and organised activities. Additionally, just 150 metres from hotel you have tennis, paddle tennis, free pitch & put golf. For your kids, the hotel offers 2 kids’ pools, a playground, and organised entertainment programmes. Great holiday, lovely hotel with wonderful food, plus a housekeeper broke a bottle of perfume, the hotel were very happy to replace without question wonderful service, would most definitely return.